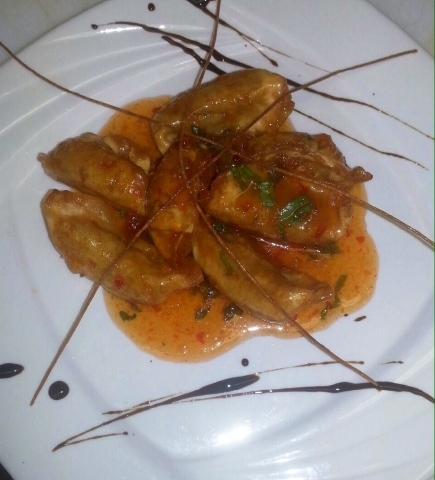 Chicken Potstickers tossed in a Sweet Thai Chili sauce. A popular selection from our "special" menu... Roasted beets, sundried cherries, red onions, and candied walnuts with a drizzle of oil and lemon topped with crumbled Gorgonzola cheese. 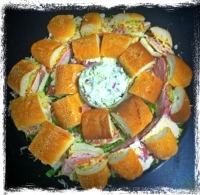 A light summer entree. Sautéed shrimp served over a white bean salad and topped with homemade pico de gallo. BBQ Pulled Pork served over potato slices topped with melted cheddar cheese, jalapenos and a ranch drizzle. Whether you're picking up take-out, stopping by for a slice, or visiting us for dinner, our friendly wait staff are available to serve you Monday through Saturday. Catching Steve in the act showing off his pizza-making skills for the customers. 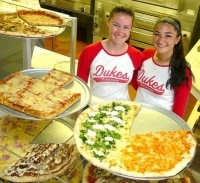 Duke's Pizzeria & Restaurant offers three-meals-a-day, starting with breakfast sandwiches, bagels and Danish, offering deli sandwiches in the afternoon and finishing with pizza and Italian dinner specials every night. 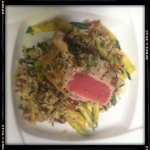 Come eat-in or take-out Monday - Saturday. 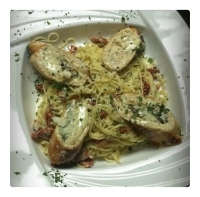 Chicken Breast stuffed with Roasted Red Peppers, Spinach and Cheese served over Capellini Pasta in a Pesto Cream Sauce. 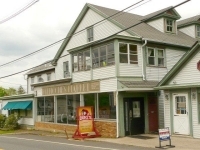 Stop by to see what kinds of pizza Steve has in the display case today.... Changes all the time. Some of our friends stopped by to pick up some All American Hero throwbacks (and some homemade Potato Salad) on their way to the Bob Lanza Blues Band Show at Beneduce Vineyard. vegetables and extra virgin olive oil.